planning the trip for several months, and as their numbers swelled, they gradually twisted my arm into joining them. Though feeling the tug of professional responsibilities here in Algiers, I couldn't shake the voice in my head asking how I had managed to spend two years in this country without yet setting foot in the desert that dominated most of its surface. "When in doubt, go out" won the day, and soon I was on the plane, poking at the crusty components of my Air Algérie in-flight meal as we cruised southward through the darkness, into the mighty Sahara. Our group of 13 was a peculiar one, no matter how you sliced it. Diplomats, engineers, and non-profit types like me; five Portuguese, two Germans, two Algerians, a Belgian, a Greek, an Iranian, and of course one dashing American. Luckily all had been in Algeria long enough to have a solid command of some mix of French, English, and Arabic, allowing us to triangulate. Plus, we brought along plenty of alcohol, magical breaker of language barriers. We reached our base, Résidence Loubana, by midnight Thursday, just in time for the start of the Algerian weekend. After dumping our bags in our rooms, Nina and I joined a few others for some nighttime exploration (an unheard-of concept in supposedly crime-ridden Algiers, where the streets empty at dusk; in Taghit we found children playing outside even at this late hour). Our hotel was situated in the old town, a small jumble of mud-brick buildings no more than a few blocks long. We soon reached its limits—and the edge of the desert. The sand dunes started from the city's edge, rising quickly into the darkness. We began our attack on the largest, a 190-meter-tall monster (that's 620 feet!) of fine, loose sand swelling up just behind the town's last row of shops. We reached the summit a half hour later, lungs gasping and thighs searing, to catch the moon-rise over the dunes beyond. 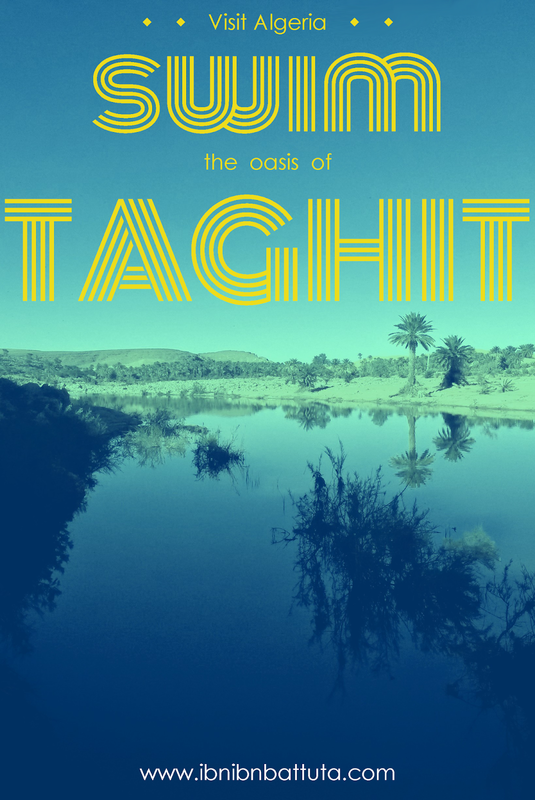 Compared to Algiers, with its 24/7 traffic, fireworks, and sirens, we had found Taghit sleepy and quiet. But slip just over the cusp of the dune, and we entered a world of truly pure silence, filled with nothing but waves of moonlit sand. "We're not in Cascais anymore, Toto": Portuguese Pedro climbs a dune. Ksar of Taghit: The walled old city, constructed using traditional mud-bricks and today still partly inhabited. Djebel Baroun: The ruins of a French colonial outpost, the Fort de l'Éperon, overlooking the old city of Taghit and its palmeraie from a rocky hilltop. Taghit palmeraie: Along the banks of the Oued Zousfana river, thousands of palm trees grow in lush groves just below Taghit's walls. Neolithic rock carvings: A half hour outside town, buffaloes, lions, antelopes, and more were carved onto a series of basalt boulders some 9,000 years ago. Unreal. Sunset over the Sahara, followed by a dinner of slow-roasted chicken and a fireside concert by local gnaoua musicians, with superb stargazing. Quadding: Zipping along trails through the sand dunes in four-wheelers, the jet-skis of the desert. Between sightseeing, this peculiar mix of friends managed to make plenty of trouble. It's international: throw functioning adults together onto a minibus and we revert instantly to our middle school selves. Amid all the excitement, I found few moments to stop and reflect. But every time I did, I kept coming back to one thought: it's so hard to believe that this is the same Algeria I live in. But in many ways, it's a very different one, light years away from the experience of daily life in the seaside capital. After Taghit, there's no doubt about it: I need to work harder to escape Algiers and see more of this country. Note: I tried to capture as much of our Taghit weekend as I could with my Rolleicord, and will share the photos once I develop them later this spring. 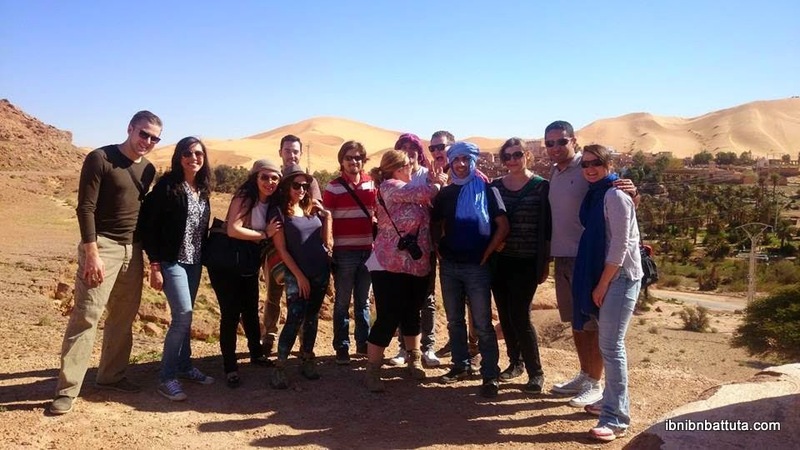 Update: Taghit photos are here! 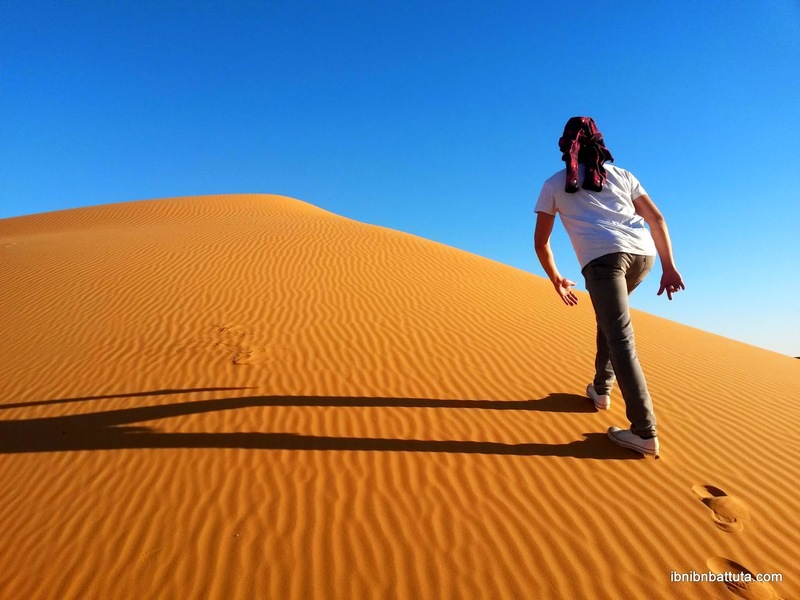 See "Taghit: Photos from the Algerian Sahara".